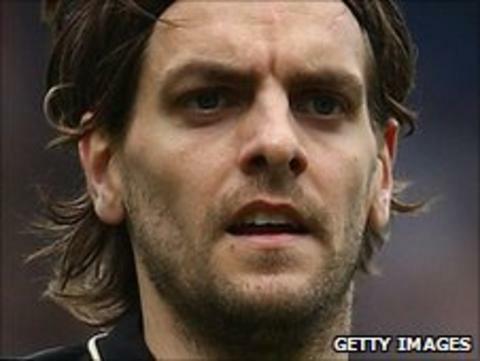 Manager Tony Pulis is hoping to give defender Jonathan Woodgate his debut for Stoke City at the weekend. The Potters play friendly matches at Brentford on Friday evening and Aldershot on Saturday afternoon. "Jonathan will hopefully play a part of one of those games and we'll see how fit he is," Pulis told BBC Radio Stoke. "He's had two or three good days of training but he's still got some strength work left to do. It will be interesting to see how he does." The Stoke boss continued: "He wants to get going. He came to Wales with us [for the 1-1 friendly draw at Newport on Saturday] and got to know the lads. "That's always good when you break the ice that way. We expect him to be a good experienced player for us." Stoke defeated non-league side Newcastle Town 6-0 on Wednesday evening. Trialist Robert Stambolziev opened the scoring, with Jermaine Pennant, Glenn Whelan, Jon Walters and Kenwyne Jones  completing a comfortable win.